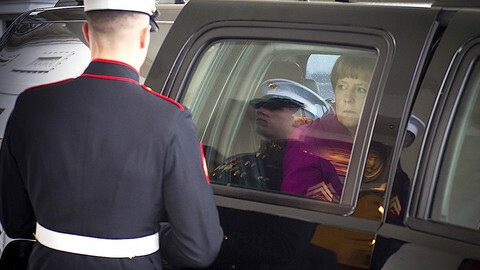 German chancellor Angela Merkel has vowed to "win back the trust" of voters after a shock defeat in regional elections, but refused to back down on her policy of welcoming refugees. “I consider the fundamental decisions as right, but there is much to be done to win back trust and the topic of integration will play a huge role, as well as the repatriation of those who don't gain residency rights,” she said on Monday (5 September) at a press conference at the G20 summit in Hangzhou, China. 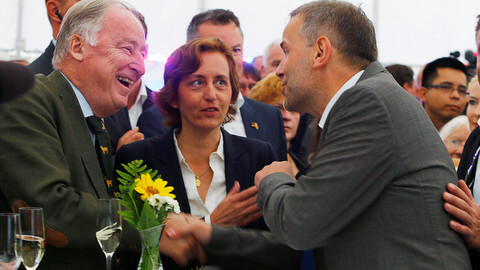 She spoke after the anti-immigrant Alternative for Germany (AfD) party won 21 percent of the votes in Sunday’s elections in the Mecklenburg-Vorpommern region, beating Merkel’s Christian Democratic Party (CDU) by two points. "I am the party chair. I am the chancellor. 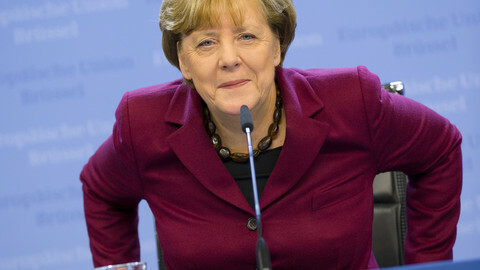 In the eyes of the people, this cannot be separated, and therefore I am of course also responsible," Merkel said. She defended her government's actions in reducing the number of asylum seekers entering the country, and in giving support to local government in handling the crisis. With general elections just a year from now, AfD is emerging as a threat to Merkel’s authority, as it polls above 12 percent nationwide. Germany let in almost 1 million people last year and, this summer, suffered a series of terrorist attacks, with AfD riding a wave of popular fear and scepticism. The party's co-chair Beatrix von Storch hailed Sunday’s result as “the beginning of the end of the Merkel era”, AFP reported. 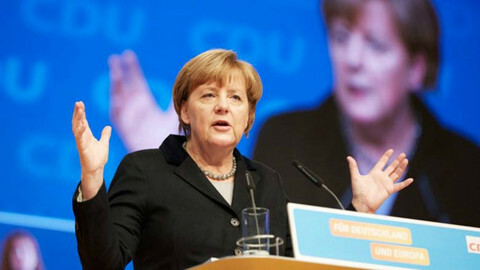 Merkel has also come under fire from her Social Democrat coalition partners, who won the regional election with 30 percent. The SPD leader and vice-chancellor, Sigmar Gabriel, has systematically attacked Merkel’s motto of “we can do it” on refugees. “It’s not good enough to just say 'we can do it' and leave the work to others”, he said after Sunday’s result. 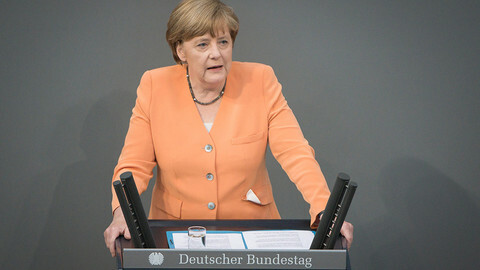 CDU party leaders said Germany needs more time to adjust to the changes. 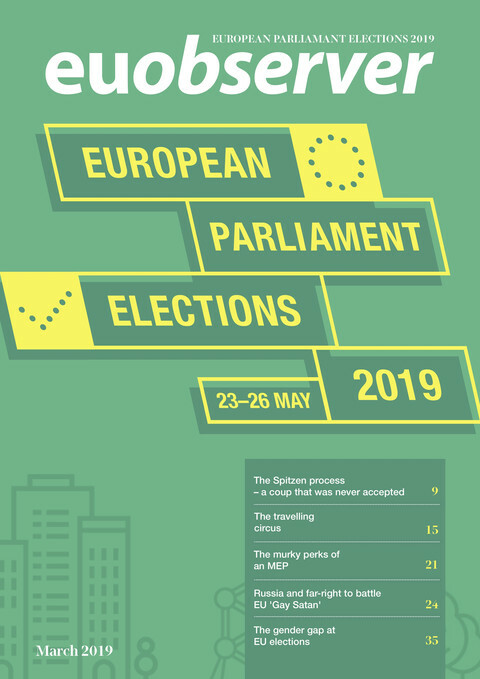 “It’ll take time before all our measures work, and it’ll take time before the trust we have lost can be won back,” the party's general secretary Peter Tauber said on Monday. AfD has promised to take Germany out of the euro if it wins next year. But the rise of the group, now the strongest right-wing party in Germany since World War II, has worried some Jewish leaders in broader terms. 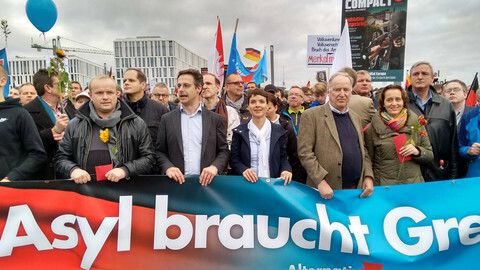 "The fact that a right-wing extremist party that agitates and mobilises against minorities in a disgustingly blunt manner can rise in such an unbridled way is a nightmare come true," Charlotte Knobloch, the former head of the Central Council of Jews in Germany, told the DPA news wire. The German chancellor's refugee policy is under heavy pressure after her party slumps to third place in her home state, as anti-immigrant AfD solidifies its place in German politics. 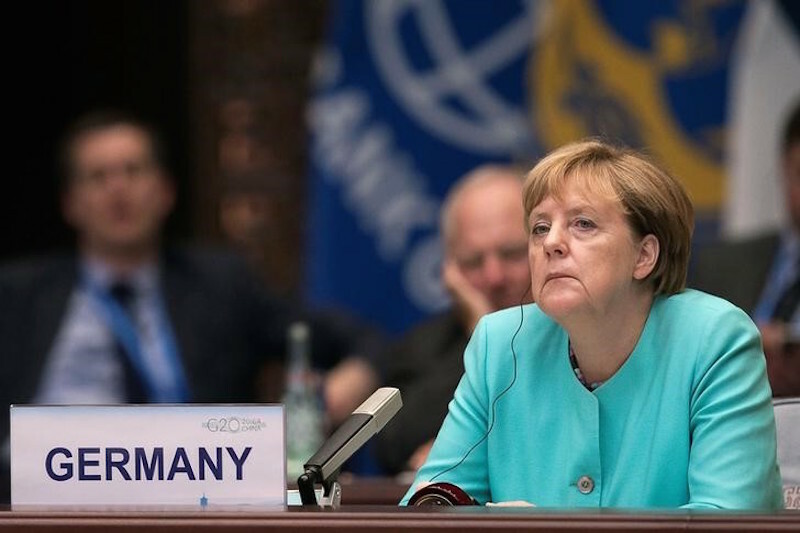 If EU states, including Germany, had acted earlier and in concert to share burdens and protect external boundaries, the crisis would have been less severe, says the German chancellor. German anti-immigrant party AfD is accused of promoting "inhuman" ideas after its chairwoman suggests illegal migrants could be shot at the border. The German chancellor, in her first speech since the bruising defeat of her party to anti-immigrant AfD over the weekend, defended her migrant-welcome policy. German chancellor said solving refugee crisis not as easy as her slogan, “We can do it”, had suggested, but rejected a migration cap despite a new election defeat.